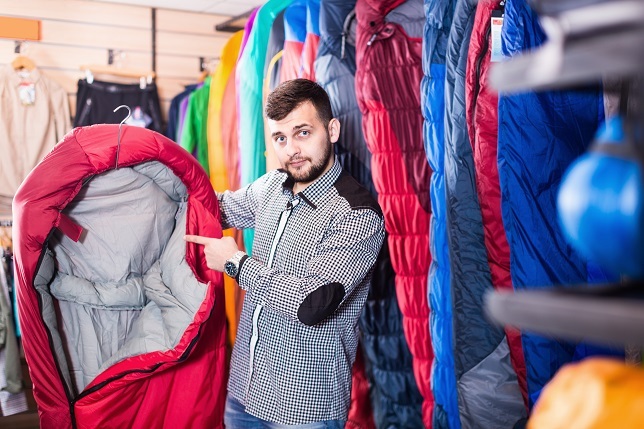 The battle for the best sleeping bags has always been waged between down and synthetic sleeping bags and while the down sleeping bag might be the most expensive of the bunch, it also offers many more benefits over the rival synthetic bags. 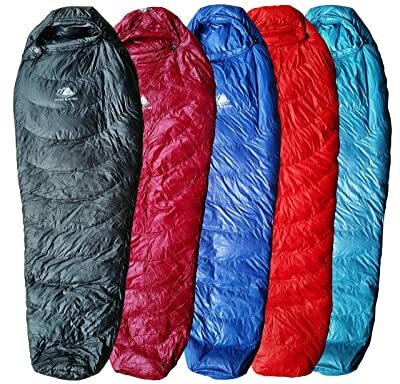 Synthetic sleeping bags are much more affordable and they are also quite versatile, but they do lack the heat retention and the comfort that you will find in the down sleeping bag. We have decided to look a little deeper at these 2 sleeping bags and how each of them could be beneficial to you and in which situations you will use each. By understanding how insulation works and which benefits each of these sleeping bags offer, you could save a ton of money when you are buying your next sleeping bag. We would generally recommend synthetic to the casual camper, while serious backpackers will certainly get more use from the down sleeping bags. Here are 5 things that you might not have known about each sleeping bag. 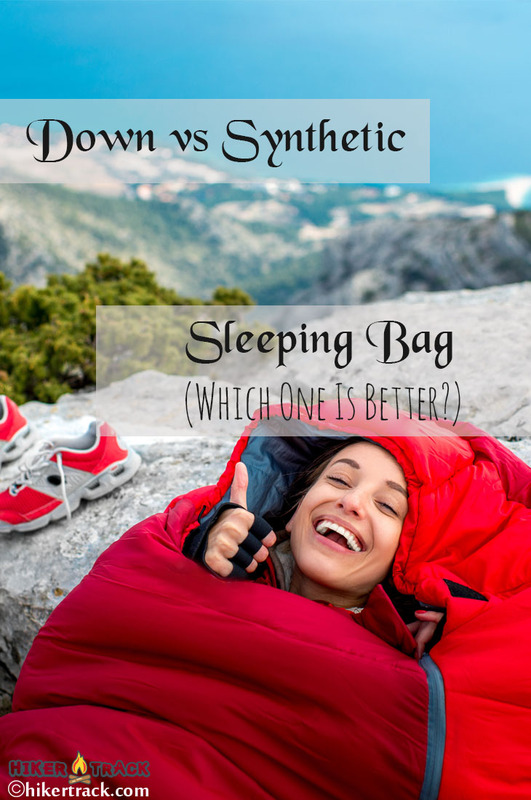 Down vs Synthetic Sleeping Bag? Down sleeping bags are definitely much more insulated they are designed to withstand much colder temperatures. Down sleeping bags have a fill power which means the density of the down and the higher the density per square inch, the warmer you will stay inside your sleeping bag. 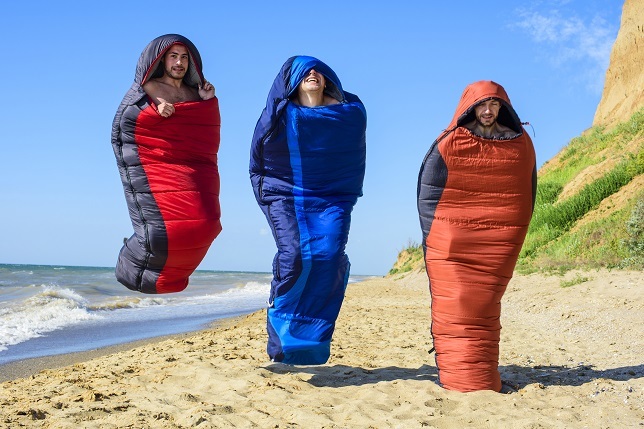 These sleeping bags are designed for sub-zero temperatures and they are sure to be perfect in the snow. Since you will be sleeping on down or feathers, it should be no surprise that these sleeping bags are a little softer on the body and they offer somewhat more loft to keep you warm. If you are not fortunate enough to have an added sleeping pad, the down sleeping bags will give you that much-needed loft to make your sleeping experience that much more comfortable. The amount of down added will also greatly dictate the loft you have. Down does not work that well when combined with water and once it does get wet, it tends to fall flat and can take a long time to fully dry out. Most manufacturers have now added DWR (water resistant substance) to help ensure that your down sleeping bag can stay dry. Washing these sleeping bags can be tricky, but once the do dry out, the down will have its loft back. As a serious backpacker, you might find yourself needing something small, lightweight, and compact for your backpack. The great thing about most down sleeping bags is that they can be folded up to the size of an average 28-ounce water bottle. This is a great way for you to save some space and improve your overall and reduce your carry-along weight. Down sleeping bags are some of the most expensive sleeping bags that you could find on the market and down is something that some people consider to be animal abuse. Since down is now only being used from reputable farms and with many people putting a boycott on foie grass, it should be no surprise that down is somewhat more expensive. Down sleeping bags are also made from strong denier nylon and this will give you added durability. If you are looking for something cheaper and easier to buy, the synthetic sleeping bag should be perfect for you. These sleeping bags are designed from high-quality polyester and nylon and they should be great for most situations. Here are 5 top facts about synthetic sleeping bags. While you might think that these sleeping bags lack insulation, there are still many of them that will be perfect for temperatures of up to 10 degrees Fahrenheit. These sleeping bags might not offer as much loft, but they can still keep you warm in the right conditions. 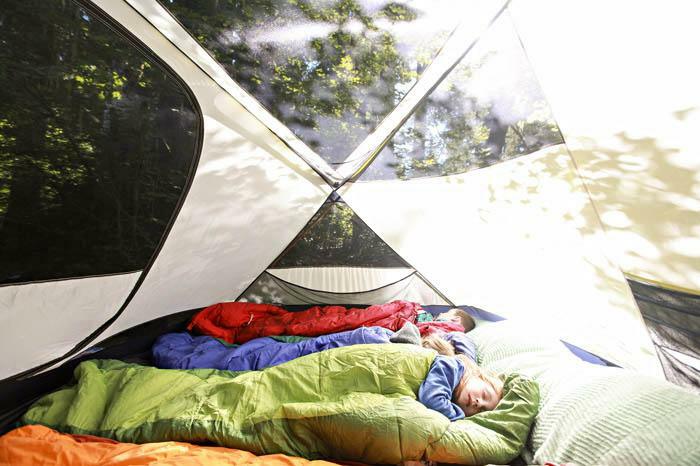 The synthetic sleeping bags should be your perfect 4-seasons bags. While down sleeping bags are much more packable and compact, they are still a little on the heavier side and this is where synthetic sleeping bags will have the edge. These sleeping bags are much lighter and they can easily be strapped to backpacks without you even noticing that you are carrying the extra weight. Synthetic materials will dry out much faster when they do get wet and this will be a great advantage over the down sleeping bag in tropical regions. These sleeping bags are fully water﻿proof and they can easily wick away moisture without any troubles. These should not be any worries about the build-up of sweat in these sleeping bags either. Down sleeping bags might also be tear resistant, but if they do tear, you could have some issues with the down trying to get out when packing up the bag. Since no down is capable of climbing out with the synthetic sleeping bags, you should not have any issues when it comes to durability. These sleeping bags can still work and keep you warm with a few tears and rips in the process. Yes, synthetic sleeping bags are much more affordable and cheaper than their down counterparts. This is because the materials used for them are widely available and there are no sanctions from people who call down sleeping bags animal abuse. These sleeping bags can also be found more widely-spread in most stores and getting the perfect color should not be that much of an issue. The sleeping bag that you choose between these two will greatly come down to the purpose you need it for. An expensive sleeping bag will be much better with an avid outdoor enthusiast and the synthetic is great for beginners. If you are going backpacking in the Alps or the Arctic, the added loft and insulation of the down sleeping bag should be perfect. 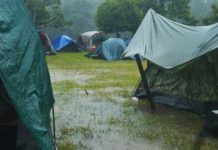 In tropical regions, the down sleeping bags will also do their jobs, but they will need to be kept away from water and moisture as this could make them fall flat. We would recommend the synthetic sleeping bags for these journeys and since they are lighter, you will not be held back by a sleeping bag on your journey. Keep your destination and the temperature of the area you will be traveling to in mind. The colder it gets the more loft and insulation you will need and the more it rains, you will need to look for something to keep the water out. There is no use in buying an expensive sleeping bag that you will only be using once or twice a year. If you are climbing Everest for a once in a lifetime experience, down should be your option, if not, you should stick to a more affordable sleeping bag like the synthetic ones. Your budget will always dictate the price of the sleeping bag that you choose. 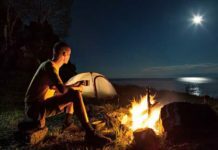 The more affordable synthetic option could be great for you to experiment with when camping as a beginner, but once you are fully into the outdoor lifestyle of camping and backpacking, down will be the better option over the long term. Directly saying that one or the other is better will be a mistake and all will come down to the personal preferences. 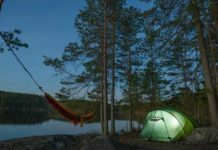 Each of these sleeping bags types do have a place in the life of an outdoor enthusiast and if you have the budget but still cannot choose, we would suggest that you choose one of each and you should be ready to go for every opportunity. Please let us know in the comment section below which one you will choose and which one you think will be the perfect fit. Previous articleWhy Are Yeti Coolers So Expensive? Find Out Now! Next articleHow To Bank A Fire In Just 5 Easy Steps – Know It Here!